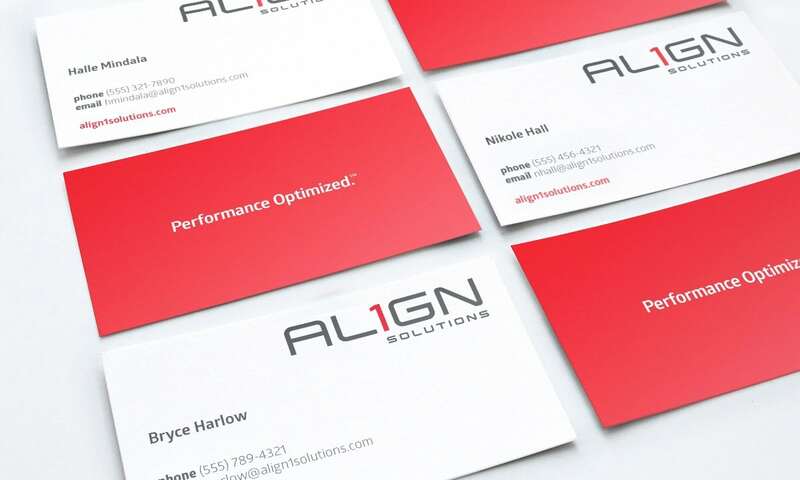 Align1 Solutions’ mission is to provide innovative and purpose-driven solutions that support, and improve, well-being and the pursuit of a healthy and active lifestyle. 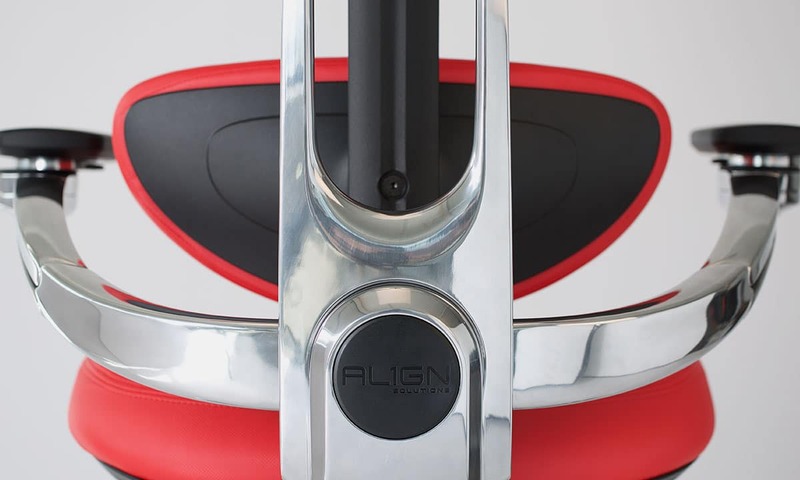 Their goal is to enrich lives and positively impact human productivity on a global scale. 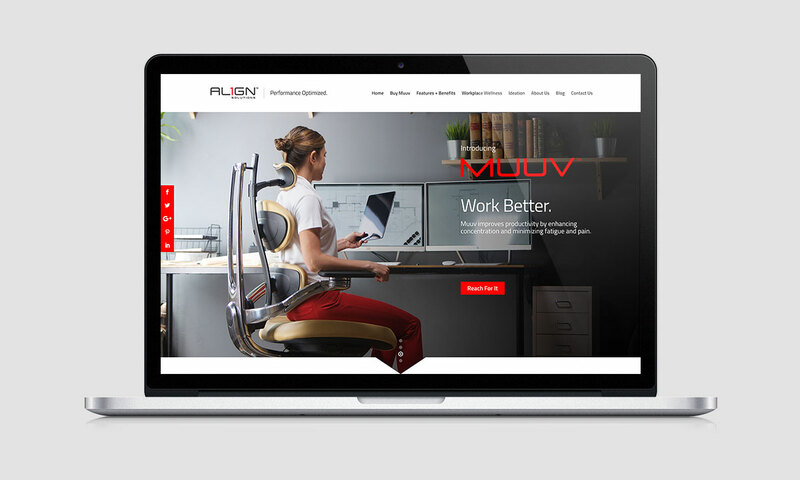 “Muuv™ by Align1 Solutions” is a complete seating solution that combats and prevents health issues associated with sitting and standing for a long period of time. 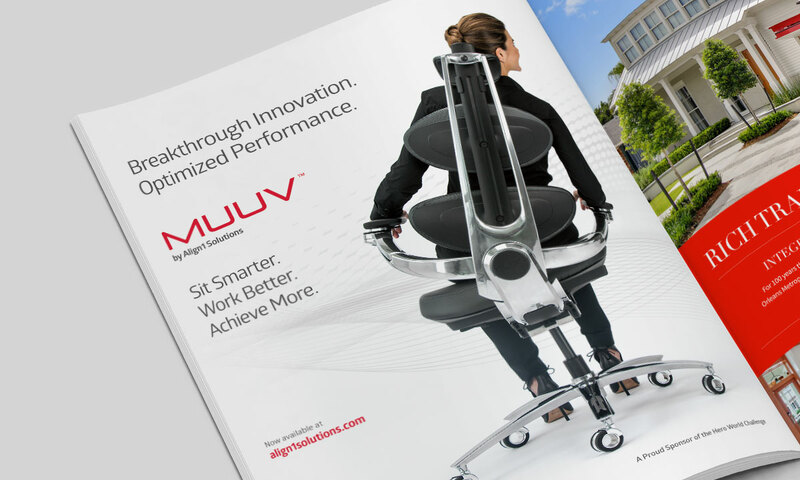 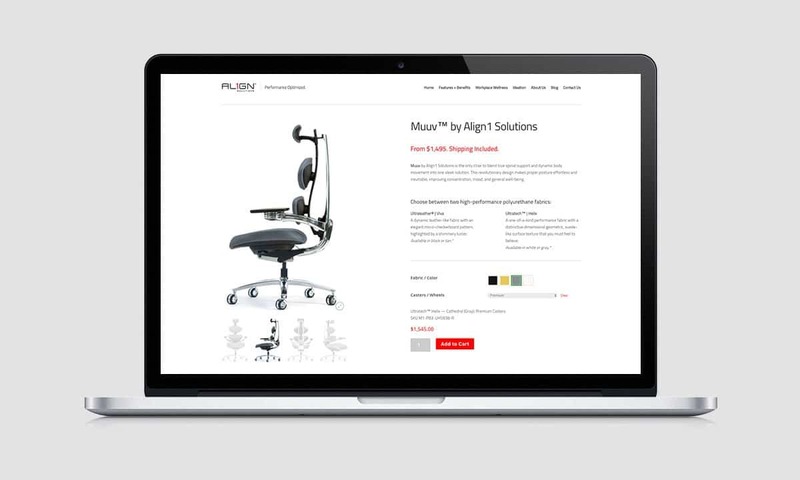 BCBD was tapped to position both the Muuv™ chair, and the company itself, for success from ideation to launch — through extensive strategic product branding, naming, creative design, print advertising, and e-commerce web development.